Donegal Golf Club is an outstanding links golf course that offers a genuine challenge to the accomplished golfer and is an all round “true” test of golf. Originally, Donegal Golf Club had been designed by legendary course architect Eddie Hackett, but since then Pat Ruddy has been involved with further course designs and enhancing Donegal Golf Club to the spectacular course it is today. 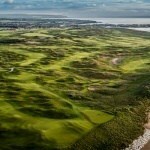 The course is one of the longest golf courses in Ireland, stretching over 7400 yards. The outside loop plays along the dunes and the ocean, providing stunning views of the surrounding area. The inner loop is more protected, however the constantly changing sea breeze provides a continuing test for both pro and amateur golfer. 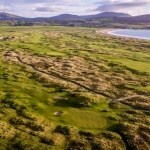 Donegal Golf Club offers unsurpassed beauty and tranquillity that is almost impossible to find in the modern world. 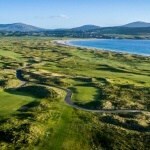 Continually featured in Golf Worlds Top 100 Courses in Ireland & Great Britain, Donegal is a real challenge not to be missed. Darren Clarke, the 2011 Open Champion and member of the Course, states that Donegal Golf Club is ‘one of my favourite courses in the world’. With a mix of traditional old style links holes and a twist on modern day inland holes, this course is certainly one you will want to experience for yourself. If you would like to play Donegal Golf Club as part of your customized Ireland Golf Tour, please contact us on Ph: +353 (0)91 868642 or Email: sales@northandwestcoastlinks.com . Check out some of our sample packages here.